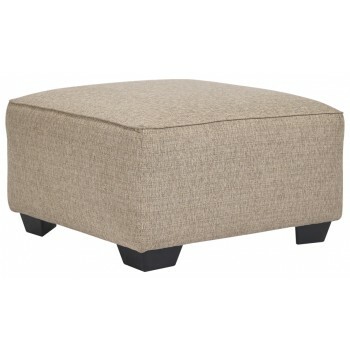 This generously scaled ottoman makes high style look effortlessly elegant. Textured linen-weave upholstery is warm, neutral and a natural complement for any space. Tri-block feet in a dark finish add a nice contrast and tailored touch.